This is an excerpt from a paper published by the US Army Sergeants Major Academy as a research submission by CSM Terwan Crawley, the senior enlisted advisor of the 589th BSB, Fort Hood, TX. This article was in response to a course requirement and this excerpt is reprinted by permission of the author. The disparity between officers and noncommissioned officers (NCO) in the military still prevails on the social and professional levels. The major issue of the officer relationship between these groups of leaders is considered an issue of class structure which is attributed to the differences in the educational levels between them. NCOs are treated in the same manner as a low category enlisted men and as such do not serve as a bridge between the enlisted men and officers. This wide social gap tends to make the learning process imprudent and ineffective. Many of the NCOs usually complained about the unwillingness of officers, or even unfortunate, of a senior NCO to listen to them. In the United States and other Western forces, the noncommissioned officer corps bridges it with a professional NCO corps critically essential for the American military’s training programs to work at its best as the primary trainers in a professional army, and to the enlisted men’s sense camaraderie. Commissioned officers and NCOs share the same goal, which is to accomplish their unit’s mission, and it is apparent that their responsibilities are associated and must be shared. The ability of commissioned and warrant officers to work together with the NCOs is an important aspect of effective leadership; and to enhance this effective working officer relationships, they must know both the similarities and differences in their respective duties and responsibilities. Understanding the commissioned and noncommissioned officers’ professional relationship and its importance will point to one’s concern with who is responsible for what, and the differences or similarities of officer business and NCO business. Officer is the short reference for commissioned officer, usually the college-educated leaders, and who have appointed positions. NCOs are subordinate to commissioned officers and should not be referred to simply as officers. The confirmatory relationship and mutual respect between commissioned officers and NCOs are permanent practices in the US Army. 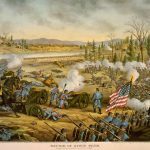 Since the start of the Army in 1775, the responsibilities of the officer and the NCO were separate but inevitably related, as the particular duties of officers and the traditions, laws, and functions determine NCOs. The President appoints and exercises direct control over those qualified people acting as his legal agents and helping him carry out duties through commissions. This direct-agent relationship with the President through the commissioned officers is retained by the Army, and is the basis for the legal authority and placement in specified positions of authority of commissioned officers in the army organizations. To be distinct, warrant officers are appointed by the Secretary of the Army and public laws provide for the commissioning of chief warrant officers with their authority coming from the same source as other commissioned officers. NCOs do not acquire authority from commissions, but the officers delegate the authority that NCOs need to accomplish their mission, therefore making the NCOs serve as the officers’ agents. The United States Army depends on the positive relationship between the commissioned officers and NCOs to ensure effective leadership to all soldiers. Commissioned officers act as leaders and managers of the different organizations within the Army. NCOs help to train and develop individual soldiers that make the Army an effective fighting force. 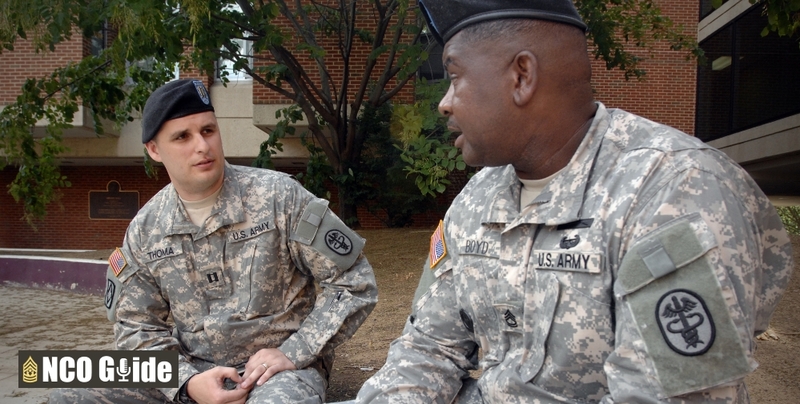 The Army for officers to receive a commission requires a bachelor’s degree. Many NCOs obtain their bachelor’s degrees, with several senior NCOs having associate or bachelor’s degrees. 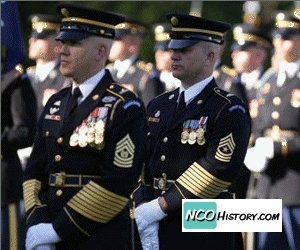 NCOs are military officers who were not given a commission and they usually get their position of authority by promotion through the enlisted ranks. The noncommissioned officers group is most commonly referred to as the backbone of the armed services being the primary and most visible leaders for most military personnel. They are the leaders responsible for the execution of the mission of a military organization as well as the training for the preparation of military personnel to accomplish their missions. NCOs are subordinate to commissioned officers and it is essential that harmony is maintained between the NCOs and the commissioned officers for the effective and smooth flowing activities involved in the completion of their missions. With great authority indeed comes great responsibility. The commissioned and noncommissioned officers carry great responsibility, but the level of responsibility each individual carries is different throughout this career. A new sergeant is responsible for a single squad, whereas a lieutenant is responsible for an entire platoon. The commissioned officer plays a management role and is responsible for supervising hundreds or thousands of soldiers in accomplishing a mission. Most importantly, it must be well acknowledge by the citizens that these commissioned officers strive to accomplish every mission with utmost dedication and excellence as they are confided and charged with serving as models of the Army values in the performance of their leadership duties as they serve the nation with full dignity and a lifelong devotion. The commissioned officers are responsible for accomplishing demanding missions while ensuring at all times the soldiers’ welfare, morale, and professional development as entrusted to them. Commissioned officers usually begin their Army service as young leaders, providing the powerful combination of valuable knowledge and skills. With their self-discipline, confidence, motivation, and judgment, they use their problem solving skills to identify solutions and successfully accomplish the mission. Major General Aubrey Red Newman has definitely possessed these traits in his 34 years of service in the U.S. Army. He was an infantry colonel “whose War II battle cry of “Follow me!” became a watchword for infantry leadership and bravery” (The New York Times, 1994). An NCO has the role of a teacher and a personal leader. The NCO has direct participation with the squad at the most basic levels. NCOs ensure that their soldiers are trained, and equipped to be always ready to accomplish a mission when called upon. The NCOs are enlisted as privates and take several years attending a number of schools before they can become leaders. NCOs are basically trainers and may occupy positions such as the Army Drill Sergeant, while officers may occupy different professional careers such as an accountant, a medical doctor or a Judge Advocate General (JAG) attorney. In the United States Marine Corps, an NCO is an enlisted Marine with leadership responsibilities with the senior NCOs known as staff noncommissioned officers (SNCOs). The sergeant major, master gunnery sergeant, gunnery sergeant, first sergeant, master sergeant, sergeant major, and gunnery sergeant or sergeant first class, are ranks that are considered for SNCOs in the Marine Corp and the Army. A senior NCO acts as an adviser with respect to his supervising officer. The given description by Desmond Morton of the senior NCO is considered timeless: “Non-commissioned officers NCOs, promoted from the ranks, enforced discipline, managed routine administration, and socialized recruits and sometimes their commissioned superiors in military ways, by common consent, they formed the backbone of their unit” (Horn, 2002). The senior NCO being the second-in-command at the platoon level must share his experiences and opinions with his immediate superior officer. In a company or a battalion level, the officer may have his own experiences but he may not be well-adapt in the use of the logistics of leading a larger unit. The counsel and guidance of an experienced senior NCO is clearly crucial to this situation for the unit’s success. Senior NCOs are responsible for supervising and leading the junior NCOs and the other enlisted men in the Marine Corps. The senior NCOs have also the duty of training junior NCOs and other enlisted personnel. To become a senior NCO necessitates both experience and a firm understanding of the everyday operations of the Marine Corps; and to continue the effective training of his subordinates, a senior NCO has the duty to use his experiences and knowledge. Title 10 of the United States Code outlines the roles of the services. This document provides the legal basis for the roles missions, and organization of each of the services as well as the Department of Defense (DoD). The commanders set the standards and policies and these officers lead the NCOs and assist them to abide by these policies and carry out their responsibilities. Officers give the NCOs the guidance, and assistance, supervision and resources that are necessary for them to act on their duties. The NCOs are responsible for assisting officers in carrying out their duties. Officers and NCOs must work together, advise, assist, and learn from one another, as their missions demand such cooperative work. Officers and NCOs in a unit must identify the division of tasks and responsibilities of each by taking into consideration the mission, individual abilities and personalities, and the situation. In summary, the responsibilities of the officer include giving commands, policy establishment, and management of the army; giving full attention on collective training aimed to mission accomplishment; be primarily involved with unit operations; giving full concentration on the effectiveness and readiness of units; and giving full focus on performance standards, training and the professional development of officers and NCOs. The responsibilities of the NCOs include maintaining within established policy the conduct of the army’s daily activities. They also focus on training individuals for mission capability. Additionally, NCOs are involved with each soldier on an individual basis ensuring the preparedness of subordinate leaders. They assist junior soldiers with their personal equipment to function effectively as unit members and giving full concentration on performance standard, training and professional development of subordinate NCOs and soldiers. Developing strong leaders in the U.S. Army has been a very important goal, but leadership training remained focused on developing commissioned officer as leaders; and the Army has yet to see a generation of a formal educational system that is aimed toward the creation of large numbers of leaders from among the commissioned and noncommissioned ranks. It is becoming a trend, creating a multifaceted and efficient battle force that are much better in meeting the emerging threats against the nation. Good leaders are important for the continuously smooth function of the Army and for the soldiers to follow orders immediately and without thought for personal safety, only trusting the competency of their leader. The effective Army training on leadership definitely can create commissioned and noncommissioned officers who are able to identify what they must do by means of technical proficiency, looking out for their soldiers and achieve their mission. The United States Military Academy at West Point is the pioneer leadership school in the Army’s history; and at the start of the 20th century, the Army had already established the Officer Candidate School that took graduates from non-military colleges and make them into officers. The Noncommissioned Officer Educational System (NCOES) was developed in the early 1970s, is in charge of planning and facilitating leadership courses for the enlisted personnel is the United States Army Sergeants Major Academy. The very significant difference between officers and NCOs is the basic fact that officers develop the strategies and manage the resources while NCOs implement the plans, teach the soldiers, and look after the welfare of all subordinate personnel. The Basic Non-commissioned Officer Course is provided for an NCO’s particular job. NCOs are trained to be the experts at their jobs and implement strategic plans of the commissioned officer. It is important to take note that leadership training is advantageous to both those who are leading and those who are being led. The skills and experience gained by the officers and the NCOs will serve them in their decision whether to stay with the Army until their retirement or to move to join the civilian sector. Both groups learn about time management in leadership training as well as interpersonal skills and effective communication skills. Leadership training is not a right. Soldiers must show and prove that they have the integrity. Junior leaders must also display maturity necessary before being recommended to participate in leadership trainings and taking into serious consideration that Army leadership training is a requirement for the advancement to higher ranks. The Army has one chain of command and the NCO support channel complements and reinforces it, as both are ways of communication and control. The chain of command can work efficiently if the NCO support channel operates effectively. The higher-level NCO support channel starts with the Command Sergeant Major (CSM), ending with the section chiefs, squad leaders and team leaders. 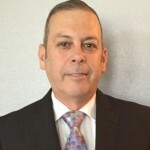 A person of this honorable title is Command Sergeant Major Marvin L. Hill, who had just recently retired from service and made his mark on the U. S. Army with his long service at the 101st Airborne Division at Fort Campbell. 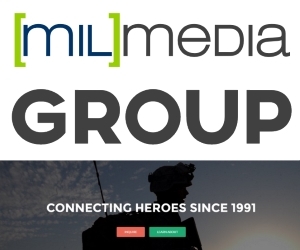 CSM Hill served as the division command sergeant major under General David H. Petraeus, a U.S. Army Retiree and the Former commander of the 101st Airborne Division Air Assault. Hill served as the command sergeant major, or senior non-commissioned officer in his assignments. He has been considered for the most valuable role he played as one of the senior non-commissioned officers combat leaders during his decade of service. Petraeus also recognized the contributions made by other senior non-commissioned officers in the Army in his statement. Petraeus also confirmed in his statement of praise that the non-commissioned officers are the driving force behind all other units and truly are the backbone of the U.S. Army. Enlisted soldiers who obtain the distinction of being selected by the Department of the Army to participate in the command sergeant major program are the perfect examples of success in their chosen profession as there is no higher rank grade for enlisted soldiers except the Sergeant Major of the Army. The command sergeant major executes out the policies and performance standards training and appearance, and the conduct of enlisted personnel. The command sergeant major have the duty to advise and initiate recommendations to the commander and staff in important matters particularly those pertaining to the local NCO support channel. In an article, “The sergeant major is generally the key enlisted member of staff elements at levels higher than battalion; the sergeant major’s experience and ability are equal to that of the command sergeant major, but the sphere of influence regarding leadership is generally limited to those directly under his charge” (U.S. Military). NCOs utilize the support channel to pass and share information, issue orders, and accomplish routine and missions. It is also to put policies and procedures into effect, enforce performance standards training, and conduct normal operations. NCOs can also advise commanders on and individual soldier’s proficiency level and the training needed to for unit readiness. Commanders then make the plans and decisions, and to program and set future training or operations. 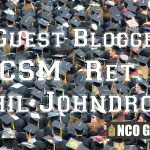 A commander usually consults with his CSM or first sergeant prior to giving orders to the chain of command, but this does not mean that these NCOs are in the chain of command. 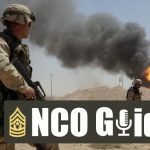 Senior NCOs in occupying positions must know what authority requires the instructions that are being issued in order to supervise effectively the NCO support channel. Officers and NCOs at all levels must maintain communication with one another, which includes informing counterparts, prevention of duplicating, or the issuance of conflicting orders, whether the information or tasks start in the chain of command or from the NCO support channel. The chain of command and the NCO support channel operate with most battalion units and above level with staff and technical channels. It must always be a reminder that authority is that legitimate power of leaders to direct subordinates or to take proper action within the scope of their responsibility. Legal authority starts with the Constitution and it divides authority between the military and the President. Congress has the authority to make laws to govern the Army and the authority to command the Commander in Chief. Command authority primarily originates from the President, and can also come from regulations or laws. Leaders have command authority when they occupy positions that require the direction and control of the other members of the Army and this authority is restricted to the facilities and soldiers in their own units. Command authority is not limited to the commissioned and warrant officers. As commanders are leaders who have the duty to direct and control soldiers, such leaders have the essential authority to issue orders, to carry out the mission of the unit, and the care for soldiers, not being contrary to laws or regulations. Leaders may exercise general military authority over soldiers from different units, as in the instance where an NCO of one battalion prevents a soldier from another battalion to give instruction on military courtesy, general military authority is exhibited. Congress and the President do not have the total ability to participate in every aspect of the armed forces of the nation. It is also illogical commissioned officers will handle every action directly, so to meet the goals of the organization, they must delegate authority to the strong NCOs. This method of delegation supports the logic of the importance of having a harmonious working relationship between the officers and the NCOs to assist each other as circumstances necessitate such. As I have earlier expressed, understanding the commissioned and noncommissioned officers’ professional relationship and its importance will point to one’s concern with who is responsible for what. We need to be mindful that it is no longer be a difference between officers and NCO business, the phase should now be, leader business. Therefore, it must be always in mind that when one is responsible for something, then that one is liable, or accountable for the outcome, answering directly for an action or an omission. To set permanently and positively balanced organizational operations wherein responsibilities are classified, the very important factor of respect from the beginning must definitely be preserved. True for all officers and NCOs, “Every soldier is a leader regardless of his rank or position; his attitude, opinions, desires and deportment mold the approach to mission taken by those above him and his subordinates; it is the summation of this leadership by ’every soldier’ that makes our Army a winner” (DA PAM 600–65, 1985). Nice article, except in the USMC (I will not presume to know precisely in the Army), “SNCOs” include Staff Sergeants as Staff NCO’s. The Navy explicitly excludes their E-6/PO1 from a similar status…only E-7/Chiefs are considered senior enlisted.